The Eagles are a team that defied the odds. There was no shortage of adversity this year for the 2018 premiers. They were written off during the pre-season, had to deal with significant injuries to Brad Sheppard and Nic Naitanui among others, and were forced to replace a suspended Andrew Gaff. Even on grand final day they overcame a five-goal deficit early on against Collingwood, and then came back from two goals down in the final quarter. There was also an off-field issue in the lead up to grand final week, with Liam Ryan’s drink-driving charge rearing its head during the build up. But whatever challenge was put in front of West Coast this season, the club found a way to overcome it. Great teams tend to do this and Adam Simpson has turned his team into a great one. He is now a premiership coach and the Eagles have their fourth flag after winning one of the best grand finals of the modern era. The club’s on-field leaders also deserve credit. It was a nervous start to the grand final. 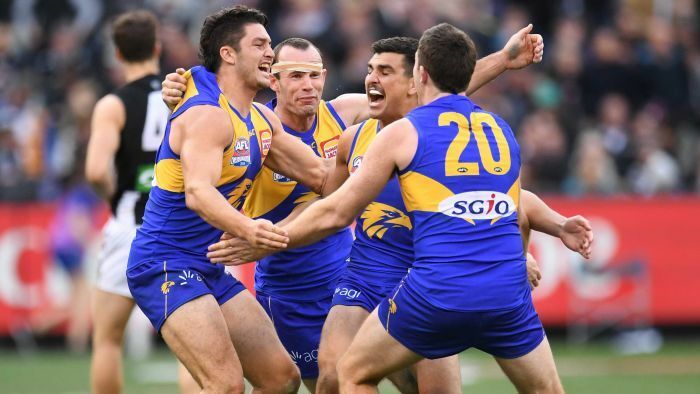 The younger members of the team struggled to adjust to the pace and it was West Coast’s senior players who took control and dragged the Eagles back into the contest. Norm Smith medallist Luke Shuey in the middle. Jack Darling and Josh Kennedy up forward. Shannon Hurn, Jeremy McGovern and Will Schofield in defence. All played a role in calming things down during the second quarter. The resolve and leadership they showed during the season cannot be underestimated. Hurn, the unassuming half-back from country South Australia now becomes West Coast’s third premiership skipper. Simpson, the 306-game champion with North Melbourne becomes West Coast’s third premiership coach, and can now be considered an Eagles great as well. Both men are no-frills, but both are among the best in the game at what they do. As for Kennedy — now a premiership player — his legacy as the club’s greatest goal kicker is all but assured. At the other end, Jeremy McGovern could well end up being the best ever defender. And then there are the lesser lights, Tom Barrass, Nathan Vardy and Dom Sheed, who were all critical. Sheed kicked what ended up being the match winner. But perhaps most importantly all the players bought in. A team has to have talent, but it also needs a system that works and a bunch of footballers that believe in it and can execute it. The Eagles tick all the boxes in that regard. As for the criticism that West Coast can’t win at the MCG, the club finished the year as the only team to be undefeated at the ground. Bachelor in Paradise week 6: Who’s hooking up and breaking up?